We recently shipped a new version of PreForm, the software that preps your design for the printer, bundled with a new version of firmware, the software that runs on the Form 2. The big news in 2.9 is support for the new Engineering Resins. These resins are somewhat different from our general purpose resins, and they are designed for usages with strict dimensional accuracy requirements. To achieve the most accurate print results possible, this new version of PreForm generates somewhat different laser paths from those used with the other resins. The Form 2 firmware now includes what font enthusiasts call CJK characters. That means that if your print job uses a name in Chinese characters, Japanese kana, or Korean hangul, the screen on the printer will display it correctly instead of showing the row of boxes known as “tofu”. 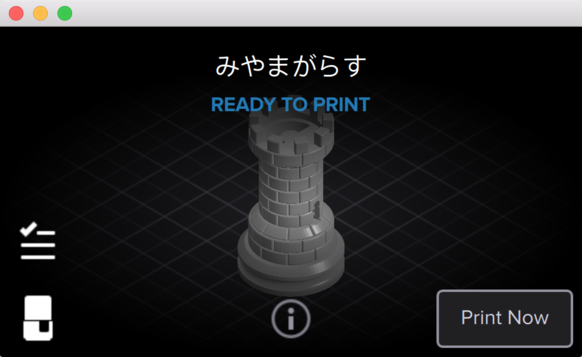 With the latest firmware, the Form 2 screen now supports CJK characters. 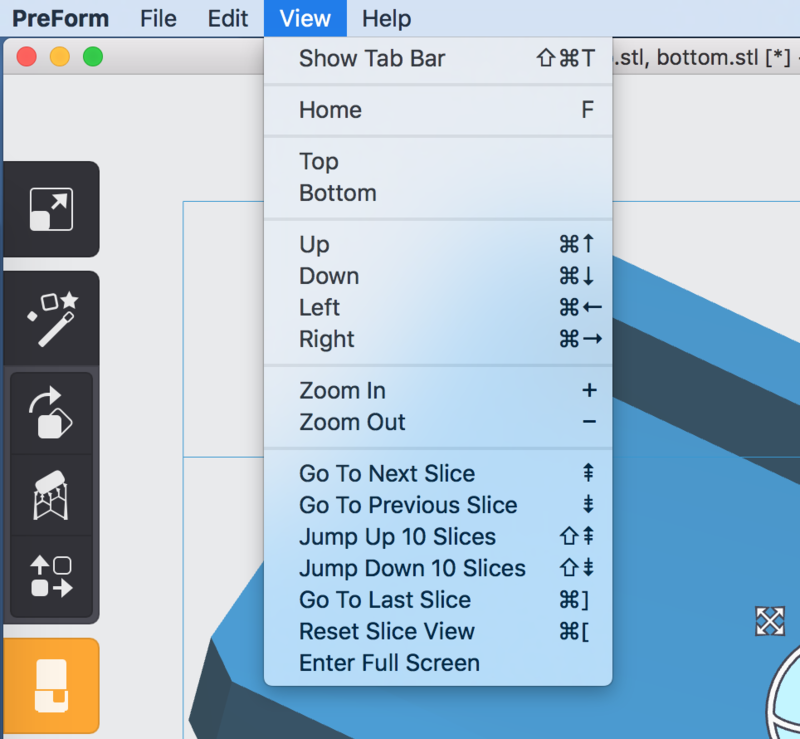 The PreForm View menu now includes commands for controlling slice view. That’s handy if you can’t remember the keyboard shortcuts. Control Slice View from the View Menu in PreForm 2.9. When you upgraded your Form 2 to firmware version 1.9, you may have noticed that your prints started sooner. This was because we lowered the set point for the start temperature for some resins, based on testing across hundreds of prints. However, we’ve heard some reports since shipping this change that these prints were not adhering to the build platform correctly. We’re currently investigating this, and we think the issues are caused by printers with calibrations near the edge of our allowed tolerances. For the time being, however, we’re reverting this change until we’re absolutely sure we understand the issue. If the lowered start temperature has been working well for you, you can continue using the “Start Print Early” button to start the print before the printer reaches the higher start temperature. For more information about what’s new in PreForm 2.9, read the release notes.